Colorized scanning electron micrograph (magnification 6836x) of Escherichia coli bacteria of the strain O157:H7. Photo by Janice Haney Carr, provided by the National Escherichia, Shigella, Vibrio Reference Unit at the Centers for Disease Control and Prevention. Keene and his team of over 30 staffers helped crack numerous national outbreaks [of food-borne illness]…. “So Bill jumped in his car and drove over 100 miles to take samples in the strawberry field,” Hedberg said. Keene collected deer feces and proved that deer could bring E. coli into fields that could then be passed on to humans who ate what was grown there. “But it was Bill who went to Jacob’s house to collect the leftover peanut butter crackers” so they could be tested, Hedberg said. Head here for the full article, and check out others from Food Safety News and AP. Wondering what to stream online, check out from the library, or rent at your local video store? Thanks to HuffPost, I discovered a list of “26 Films Every Food Activist Must Watch,” compiled by Danielle Nierenberg and Katie Work. 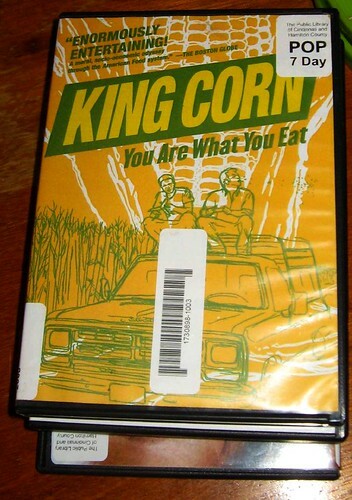 The films include modern classics like King Corn, others still in production—like Food Chains, whose Kickstarter campaign I contributed to—and a number of movies I hadn’t heard of. Food Tank has selected 26 films — both long and short — to share with you. From the importance of land rights for smallholder farmers in sub-Saharan Africa to the insidious dominance of fast food in an urban community in California, each of these films can inform and inspire eaters all over the world. For the full list with links and brief descriptions of each film, head to Food Tank’s website. Happy viewing! Earlier this year, scores of New York chefs urged Governor Andrew Cuomo to oppose hydraulic fracturing (AKA “fracking”), a controversial technique for releasing natural gas from underground deposits, like the Marcellus Shale Formation that spans parts of New York, Pennsylvania, Ohio, and West Virginia. New York’s agricultural economy is strong and vast, and is an important economic driver for our state. We have the second-largest number of farmers’ markets in the country and the fourth-highest number of organic farms — and are the third-largest dairy-producing state. New York is second only to California in its wine production. 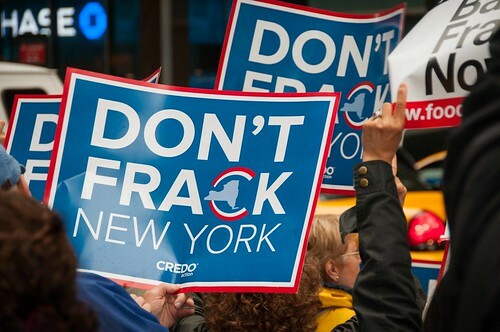 As more states pump natural gas from beneath the earth, the negative effects fracking poses to agriculture are more clearly emerging — and we believe they would be devastating for New York. Across the country, water contamination from toxic fracking chemicals has sickened and killed livestock. Accidents have ruined cropland. Gas companies are not required to disclose the chemicals used in fracking. And there are no conventional procedures for isolating livestock exposed to chemicals from the food chain. Find their full piece here. Check out Onishi’s article here. For more, head to this piece by Lauren Somner for KQED Public Radio. Finally, for more on fracking and our food supply, head to my earlier post on Elizabeth Royte’s great cover story several months ago in The Nation. Studies show cantaloupe is more likely to carry bacteria than most other produce, even more than its cousins in the melon family, like honeydew and watermelon. Cantaloupe regularly makes the top five in fresh fruit and vegetables likely to cause an outbreak, according to Doug Powell, professor and food safety expert at Kansas State University. Though, outside of the realm of fresh fruit, produce accounts for a small percentage of foodborne illnesses, at about 13 percent in 2005…. 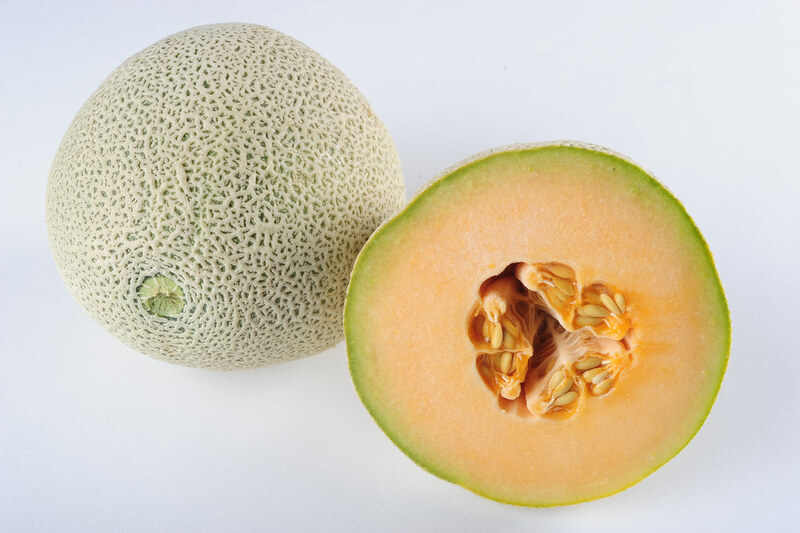 [Colorado State University food microbiologist Larry] Goodridge said from farm to table, there are many places where melons can be subjected to bacterial growth, whether on the rind or in the cantaloupe’s flesh. 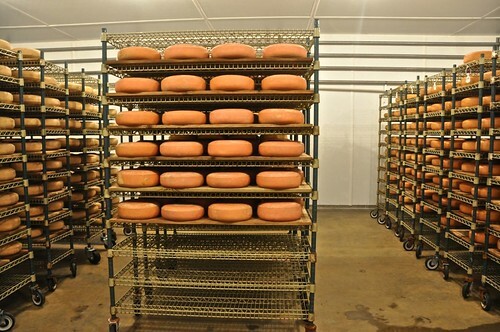 They’re also dense with water, which make them susceptible to the growth of listeria, salmonella, and E. coli. On the production and processing side of things, there are also increased chances of cantaloupe contamination. Unlike in many other fruits, bacteria can still grow inside cantaloupe after it has been picked. For the full story, including a lot of great links, head here, then check out Runyon’s story about Colorado’s “Sweet Melon Capital,” which was struck by a listeria outbreak in 2011. Fourteen years later, the HIMP* [see footnote below] inspection system is at the center of controversial new regulations proposed by the USDA for chicken and turkey processors. It’s all part of an attempt to modernize an inspection system that dates back to 1950s-era poultry law…. For links and a map of federally inspected poultry plants, as well as audio and print versions of Mayer’s full piece, head here. The USDA wants to reduce the number of chicken plant inspectors and increase line speeds that process and inspect carcasses to 175 birds per minute from 140. Critics, including two of today’s guest columnists, have cried foul with concerns about poultry worker safety and consumers of chicken products. A Georgia poultry executive defends the modernization of processing lines in an industry that contributes $18.4 billion a year to the state economy. 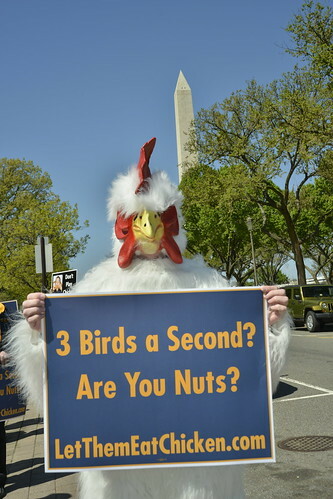 The USDA readily admits that the poultry industry will stand to earn an additional $260 million per year by removing the cap on line speeds, and tries to explain away the risk of contamination by promoting the use of a chemical cocktail at the end of the slaughter process. Companies are allowed to use chlorine, tri-sodium phosphate (used to clean cement) and hypobromous acid (used to clean swimming pools) to treat poultry for salmonella and to sterilize feces that might still be on carcasses. The proposed rule puts company employees in the role of protecting consumer safety, but does not require them to receive any training or prove proficiency in performing duties normally performed by government inspectors who are required to take training before they are assigned to the slaughter line. Lack of training is not the only impact this rule will have on workers. Increasing line speeds will have a negative impact on worker safety…. All three editorials are worth a read, so check them out here. Energy drinks are the fastest-growing part of the beverage industry, with sales in the United States reaching more than $10 billion in 2012 — more than Americans spent on iced tea or sports beverages like Gatorade. Their rising popularity represents a generational shift in what people drink, and reflects a successful campaign to convince consumers, particularly teenagers, that the drinks provide a mental and physical edge. The drinks are now under scrutiny by the Food and Drug Administration after reports of deaths and serious injuries that may be linked to their high caffeine levels. 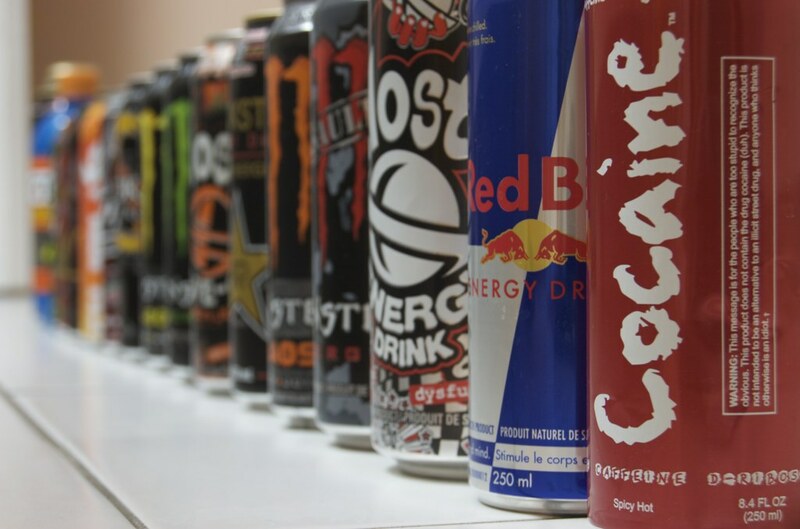 But however that review ends, one thing is clear, interviews with researchers and a review of scientific studies show: the energy drink industry is based on a brew of ingredients that, apart from caffeine, have little, if any benefit for consumers. The full story is worth a read, so check it out here.